A comic about animals that talk. A guy named Jimmy. That's all we got. Squirrels that understand more about emotional wellness than many humans do. The sun can be scary. On average, four times a month since July 2015. 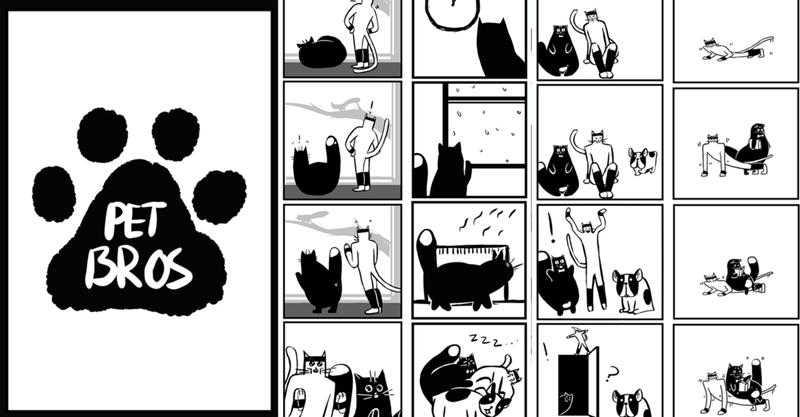 The is one cute animal comic! The style is very unique with the animals in colour and everything else rendered as black and white line work. But the best part is the writing. There are lots of comics where animals say dumb and vulgar things. The tropes have been done over and over. But this is just too damn smart and cute. It also throws up a big fat mirror towards our own neurosis and emotional conditions. There's just something so simple and refreshing about all of it. Some of the jokes aren't as sharp and don't land the same. 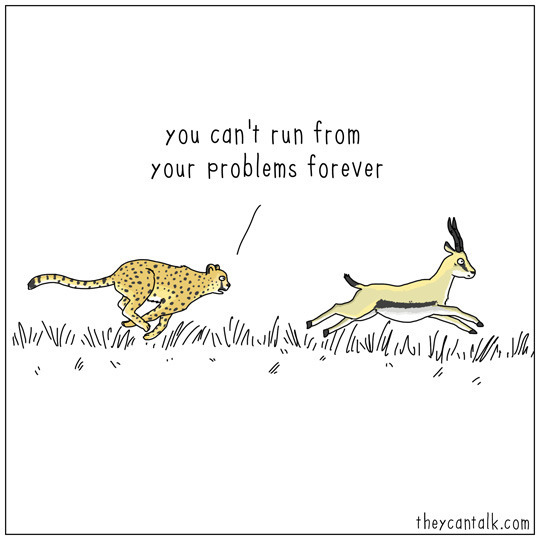 And, sometimes we just want to live in denial and run from our problems you know! We all have a "fin" that shows now and then. What's yours? It's kind of sad that if these animals could really talk, they would be more self-aware and emotionally open than many of us. This is the perfect comic to teach some serious life lessons and insights. That's what is so endearing about this work. It's disarming yet very poignant (again, we love poignancy around these parts), which is one thing comics can do better than other mediums. They Can Talk is an amazing example of the opportunity and power comics can have to connect and communicate. Maybe we're getting too deep into this. But, as stated earlier, it's nice to experience some refreshing and intelligent work like this. Pet Bros is our own silly take on animals. Pet Bros - 4. Squirrel!